Today was the final day for Mobile World Congress 2017. It has been a long, hectic, but exciting week. 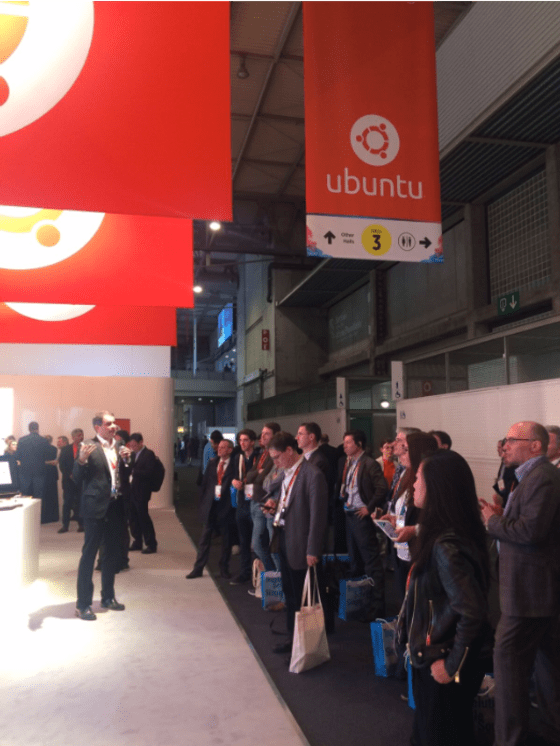 For starters, we had a record number of visitors to Canonical’s Ubuntu booth. The mixture was consumer targeting businesses looking for device updates, IoT advances, and innovation around artificial intelligence (AI) and augmented reality. On the other hand, enterprise back-offices, many visitors were communication service providers exploring ways to reduce their data centre costs while improving efficiency. In essence, MWC has turned into the European CES in terms of size and scope. One thing was clear, telecoms will continue to be under pressure to change their business and profitability models to compete against the public cloud. Additionally, edge devices are forcing telecom providers to architect their future systems, shifting from a centralised data centre model to a distributed model that moves and processes data closer to the edge via hundreds of “mini” data centres. Traditional network equipment is provided by three main vendors; Huawei, Ericsson, and Nokia. These systems tend to be expensive and closed, but they provided the ‘insurance’ telecoms needed when deploying or upgrading their networks. Now, as telecom service providers must compete with public cloud providers, they need a flexible system that will allow them to deploy new applications and services quickly. Canonical is the enabler of the innovation that allows these companies to tap into the OS ecosystem. 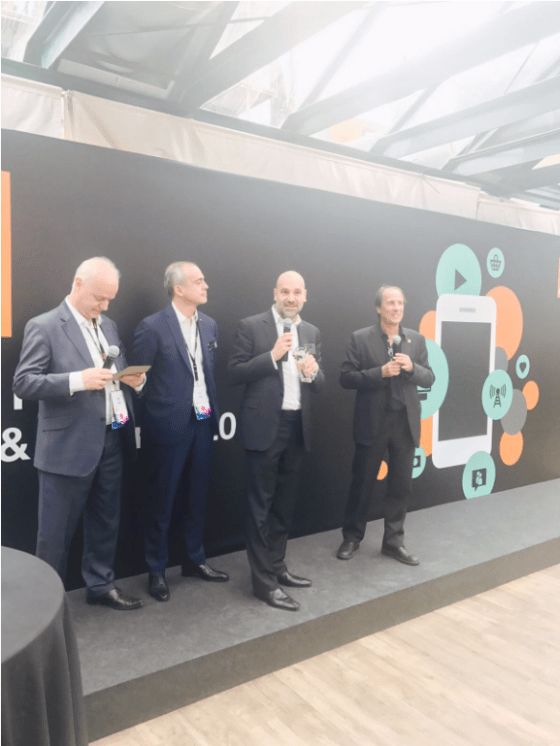 On the device side, we are proud to be honoured by one of our major partners, Orange, for Outstanding achievement in converged computing & digital openness at their Device Partner Awards ceremony. With 25 awards over four categories, the Orange Device Partner Awards celebrates the 10th anniversary of the smartphone and aims to recognise individuals and organisations across the telecoms industry that have contributed to the smartphone revolution. One of the hottest technologies in the entire show happened to be demonstrating in our booth. The Software Defined Radio, by Lime Laboratories, is a low cost, open source (app-enabled) software defined radio (SDR) base station that can be programmed to support any type of wireless standard. In addition to the SDR, Canonical was showcasing many commercially viable advances in the Internet of Things (IoT), Robots, Artificial Intelligence, and Augmented Reality. Each of these solutions was developed on Ubuntu. 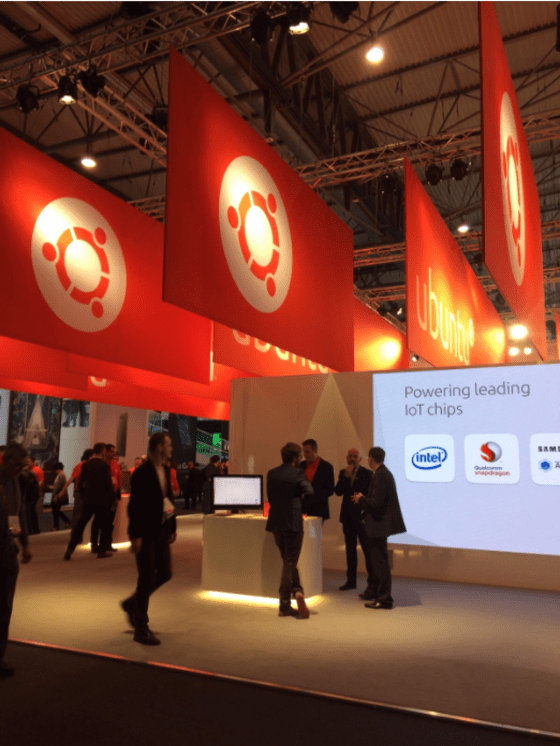 Further, the number of connected and autonomous vehicles was through the roof at MWC, and it’s worthy of note, nearly all self-driving cars made today have Ubuntu inside. The communications industry is going through a phase shift that is fundamentally changing how they do business. This has created both a challenge and opportunity within the market and companies that can take advantage it will prosper and lead the next evolution of technology innovation. Those that are slow and myopic about the future will be relegated to the dustbin of obscurity. The time is now, and Canonical is positioned to help enable that innovation. As always, if you have any questions or would like to learn more about Canonical’s products and solutions please visit us at www.ubuntu.com. We are already planning for a bigger MWC presence in 2018 and look forward to seeing you next year!